Location of I and I Wanted to See All the News From Today featured in the forthcoming book Art and the Internet by Joanne McNeill and Domenico Quaranta. 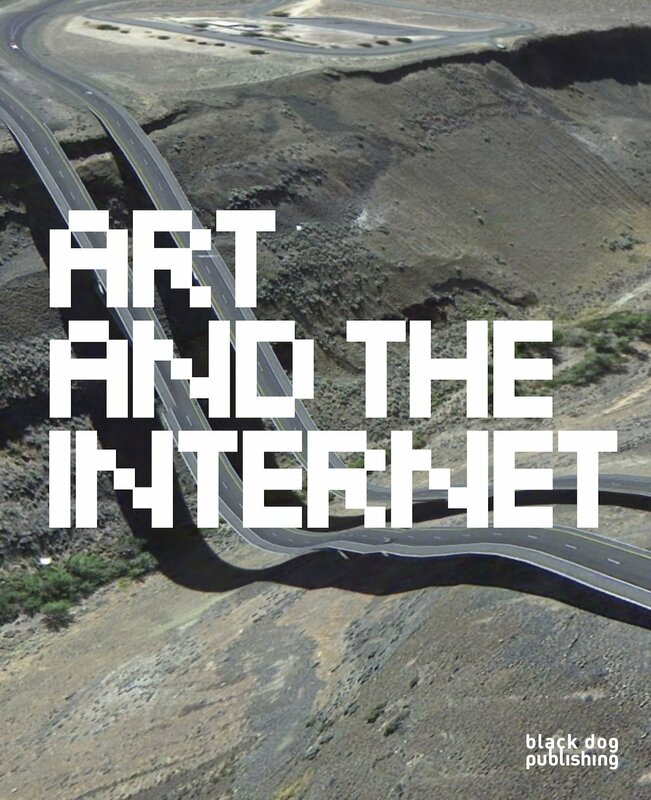 Art and the Internet is a much-needed visual survey of art influenced by, situated on and taking the subject of the internet over the last two and a half decades. From the early 1990s the internet has had multiple roles in art, not least in defining several new genres of practitioners, from early networked art to new forms of interactive and participatory works, but also because it is the great aggregator of all art, past and present. Art and the Internet examines the legacy of the internet on art, and, importantly, illuminates how artists and institutions are using it and why. What do we know about time? How do our perceptions of time shape our thoughts and experiences? How can visual art help in unpicking these questions? This exhibition brings together several artists who, working across a variety of media, all bring some new understanding to the nature of time and our perception of it. In his Lectures on the Phenomenology of Internal Time Consciousness (1928). Husserl distinguishes between objective time in the world, the inner time of experience, and a deeper consciousness of inner time. This is a good introduction to what is the most complicated and ungraspable of subjects. Theories of time from all of these perspectives abound, here we focus on some core ideas about the nature of inner and outer time on a journey through physics, philosophy, zen and neuroscience concluding with a discussion of how visual art can open these ideas in ways that transcend other forms of research. The universe may be timeless, but if you imagine breaking it into pieces, some of the pieces can serve as clocks for the others. Time emerges from timelessness. We perceive time because we are, by our very nature, one of those pieces. There are many references and relations in Heidegger’s philosophy to East Asian thought, particularly Zen. In terms of understanding our experiential relationship to time it could be said that Heidegger was the closest of all western thinkers to really deepen our understanding of the nature of time conscioussness, however it could also be said that ultimately he was held back by western philosophy’s dualistic heritage. Zen on the other hand, free of the rational, intellectual constraints of western thought, has long embraced embodied, direct experience. (lighter)For the time being stand on top of the highest peak. For the time being proceed along the bottom of the deepest ocean. For the time being three heads and eight arms. For the time being an eight- or sixteen-foot body. For the time being a staff or whisk. For the time being a pillar or lantern. For the time being the sons of Zhang and Li. For the time being the earth and sky. Contrary to the western search to articulate time as some deeper universal structure, or as a perceptual mechanism within ourselves, Dōgen embraces the impermanent, indeterminate nature of time, as well as the absence of it. We could relate this understanding of time to theories within astrophysics of time being an illusion. Time is impossible to pin down, it is unknowable, and by embracing this, we come closer to understanding it. It is this existential experience that is at the core of all Zen teaching; true understanding lies beyond philosophy, we actually have to be it, the real nature of things lies beyond any rational understanding. Whereas Descartes gave us the duality of mind and body, Zen exists in nonduality, where there is no separation between the sense of the self and that which is external, instead there is only intersubjectivity, or interconnectedness. In Zen practice, the nondual experience of being and time as interconnected is arrived at through meditation, through the simple act of attention, becoming ‘the observer’ of both inner and outer experience in the present moment. In his forward to the volume on Zen Buddhism by D.T Suzuki, William Barrett recalls a visit to Heidegger, when he was found reading one of Suzuki’s books. Heidegger remarked, “If I understand this man correctly, this is what I have been trying to say in all my writings”. Heidegger was also concerned with a key notion in Zen- the idea of nothing as expressed in Being and Time, “The nothing does not remain the indeterminate opposite of beings but reveals itself as belonging to the Being of beings.” Returning to thermodynamics and relativity; the relationship between matter and time, between nothing and no time, we can see the connections between physics, Heiddegger and Dōgen’s thinking; “Most people think time is passing and do not realize that there is an aspect that is not passing. To comprehend this is to realize being”. In this case, we could say that mind is the cosmos made conscious, that our self awareness and reflection is the way the universe understands itself. Having looked at the path of our understanding of time, both external and internal, through western science and philosophy, we can see parallels in how thought has attempted to bridge the divide of dualism. The suggestion is that the nature of being and time is more interconnected than previously understood, something Zen had expressed a millennia before. This argument has been significantly accelerated in the wake of contemporary neuroscience, allowing us to readdress philosophical questions about consciousness through an entirely new framework. In relation to time, recent neuroscientific research suggests that our ability to imagine comes from the same neural networks as memory retention. It seems we have to remember the past to be able to imagine the future, just as Husserl’s temporality describes how our expectations for the coming moment and the memory of the one just passed are all simultaneously present. If memory is what allows us to imagine, then fiction and percieved reality are therefore far more interconnected than previously thought, and the past not as static as we believe it to be. On an everyday level, we understand that the quality of our attention to our present affects the way in which we experience time’s flow: ‘time flies when we are having fun’. This plasticity of perception can also be intentional; the advanced practitioner of Zen meditation is capable of intentionally producing different experiential states, including nonduality. This provides a rich recourse for neuroscientific research. The potential of mapping the neural correlates of nondual experience not only tells us much about the brain, but it locates the ungraspable experience of indeterminate, interconnected time, or even no time, into something we can actually see. So how do these ideas of interconnectivity relate to the making, viewing and thinking about art? In 1996 scientists researching connections between neural activity and hand to mouth actions in macaque monkeys, accidentally came across what is now called the ‘mirror neuron’. What they discovered was that the monkeys had some of the same neural responses when observing the scientists pick up food, as when they picked up the food themselves. Further research suggests that humans have mirror neurons functioning in the same way, and this can tell us much about how we learn, relate and empathise with each other. To return to Heiddegger, “Everyone is the other, and no one is himself” these neuroscientific discoveries take us yet further towards a plurality of interconnections between the self, the other and the external. What the mirror neuron points to is that when I see your action, I unconsciously have an embodied experience which mirrors it. This deep empathetic mechanism also opens up intersubjective readings of art works. As we track the path of an objects making we can relate it to our own physicality. Art functions as a dialectic, within which an image, object or action opens up abstractions and ideas able to transcend language. These we are invited to articulate in a sphere of thought and experience, the map of which is not drawn merely by reason and intellect. The photograph of the hand holding sand becomes our hand, we feel the weight of the steps across the beach, we trace the cuts, the brush stokes, the rolls, the light brings us directly into ourselves through our heightened attention and perception of the external. This recognition is not limited however to our physicality, more the embodiment is an unconscious empathetic vehicle which both integrates and co exists with our ability to frame art works through various critical models. On the most basic level, the work of art is a connection point, through which we can recognize each other, and in turn ourselves. Although there is an implied paradox between neurological reductionism and the expansive state of interconnectivity, the suggestion is that while our consciousness is defined by our critical ability to self reflect, to observe ourselves, we are also far more intuitively connected than we may be aware of. Coming back to the exhibtion, the works touch on time in many different guises; temporality, attention, external and internal perception, marking time, our comprehension of cosmic time are all explored in the works. Art gives us experiences of the connections between us, as we hope is shown in Time Being Being Time. Ideally the works act as a platform from which, while exploring time, we can discuss not only the interconnected nature of contemporary research, but the intersubjective ways in which we read art. To summarise, although we may understand very little about the real nature of time, approaching it reveals much about the nature of us. If the closest we can get to time is through embodied acceptance of unknowing, through intention and attention to the present, what is in fact revealed is that where time may be an illusion, so are the divisions that we have constructed between ourselves. Art gives us a language with which we can share the first person embodied experience and therefore contribute some deeper understanding to being and time. What do we know about time? How do our perceptions of time shape our thoughts and experiences? How can visual art help in unpicking these questions? This exhibition brings together several artists who, working across a variety of media, all bring some new understanding to the nature of time and our perception of it.